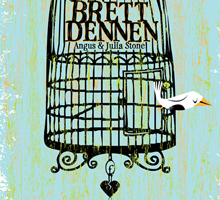 Brett Dennen with Angus & Julia Stone Fillmore poster. 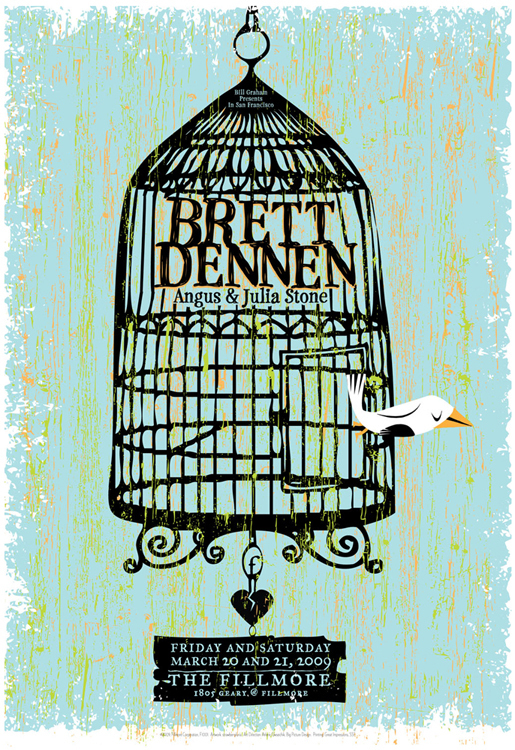 Offset printed poster for Brett Dennen and Angus & Julia Stone’s shows on Friday & Saturday, March 20 & 21, 2009 at The Fillmore, San Francisco, CA. Yes! THAT Fillmore. Indeed. And Mr. Brett Dennen and the siblings Stone are playing there for a very special 2-night, back to back engagement. This poster is an offset print, not screenprinted, it was printed by The Fillmore for the show as a fan-giveaway. 4-color design Edition of 1,000. Of that 1,000 given to the fans at the show and to the bands’ members, I had just 50 posters. Size: 13w x 19h inches. Paper: thick and heavy white stock.